Since I’ve stared teaching (and taking) barre classes more frequently, I’ve been asked about how to add a barre class or classes into a routine that already includes strength training. This was a tricky one for me, especially because I LOVE Orangetheory, so I’ve had to shuffle some things around in my routine for the classes I teach and take for training purposes (or for fun!). First, I think it’s worth mentioning the benefits of barre and why it’s a great workout option to include in a routine if you enjoy it. It’s low impact. You can strengthen the muscles in your legs, core and upper body without pounding the joints. Even though it is a very joint-friendly exercise, I still wouldn’t recommend it for those who have or are recovering from knee, hip or joint-related injuries. Flexion at the knee and small micro-movements are focuses of the workout, so if you’re healing from an injury, give your body time to do its thing and recover. You’ll initiate muscle failure. Before I took barre classes, I had a hard time reaching muscle failure without adding an unsafe amount of weight. The variety in these exercises will fully fatigue this muscles without putting too much stress on the joints from insanely high weight. At least once during each class, my legs start shaking uncontrollably from fatigue! Here’s a post explaining why that’s a GREAT thing 🙂 I also appreciate that the workouts are always challenging to me. I have to mentally push myself to finish, and feel awesome when it’s over. Core strength and stabilization. You’re getting the entire package: total body strength, in addition to balance and stabilization from core exercises and balance challenges. This targets the tiny muscles in your core that work to stabilize your body, and are effective from protecting the back from injury, promoting good posture, and developing a strong core. Muscular endurance and flexibility. Unlike traditional strength training exercises (3-4 sets of 6-15 reps, depending on your goals), these low-weight, high repetition exercises promote muscular endurance. This can come in handy for long cardio -your muscles are conditioned to perform under stress for longer bouts of time- and the stretching during class, while it may not protect from injury, it feels great and can potentially contribute to a more effective workout through high range of motion. You can modify or progress according to your needs. There are always options to make it more challenging, or to scale it back if you need to. You’ll challenge your body in an entirely new way. This was one of the biggest benefits for me, because I was strengthening hip and quad muscles that have always been weak, and could have worsened my previous two knee injuries. After practicing barre consistently, in addition to HIIT and strength (often via Orangetheory), I ran my strongest half marathon. 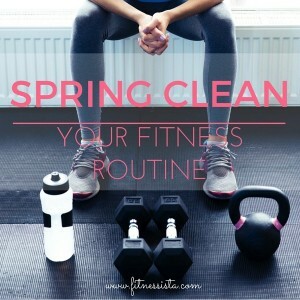 Balancing all of my favorite fitness activities was a bit of a juggling act, so I thought I’d share some strategies if you’d like to incorporate class into your routine. -With cardio: You can certainly do cardio on the same day as a barre workout (I would do it afterwards), or the day before or after. Just make sure your legs aren’t TOO sore after barre. If they are, let them rest, or go for an easy walk instead of an intense run or HIIT session. -With other strength workouts: I would do strength workouts on non-consecutive days with barre. For example, if you take a barre class on Monday, I’d wait until Wednesday to strength train again. Technically you could do them on consecutive days, but I believe that it’s a recipe for burnout or overtraining. -With yoga: You could do a short yoga session at night after a barre class to stretch and meditate, but I wouldn’t recommend anything vigorous as your muscles were already fatigued earlier that day. In an ideal world, you would keep a day of rest or pure cardio in between barre and yoga. Can barre replace strength training? Sure, as many barre classes utilize light dumbbells (which you can progressively increase). But, I would still recommend some traditional strength exercises (with a mix of balance, strength and power) to keep things fresh and avoid plateaus. Thank you for the graphic! I love it and this makes it easy to understand how to incorporate barre into my workouts. My concern is that I’m pregnant- is barre recommended if you’re preggo? I took barre classes a year ago at a studio but haven’t since. I’m thinking it’s best to wait until post delivery? Thanks so much for this, Gina! I have been struggling to incorporate barre without losing (what I view as) my very important, more intense, strength days. My lower body is my biggest problem area so I feel very termpted to take barre between lower body strength training days, but will try to resist given this information. One last question: say I’m incorporating a lot of the circuit-type workouts from the SSU, would it be advisable to wait a day between a SSU workout and a barre class? Thanks again! 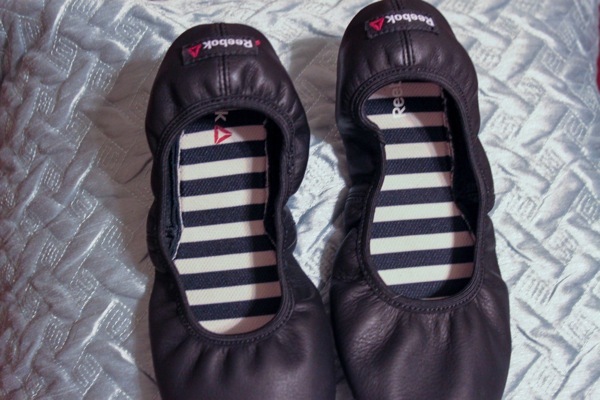 I have never done barre before and the first time I ever heard about it was from your blog! I have danced my whole life and this seems like a workout I would love. I’m in such a routine with what kind of workouts I do now, and I think it’s about time to break that routine! So helpful! I’m hoping to figure out a way to incorporate some barre-love into my life, even though it’ll probably be at home for now. Love your barre videos for that. 🙂 If you have any recs for others (or plans to make more of your own…! ), let me know! LOVE the Barre3 core ball I see in there!!! I’m an instructor at Barre3 Atlanta-South Buckhead. I hope you’re working on a Barre3 cert and if so, can’t wait to read more about your progression through training in the future! i’ve been wanting to try barre for a while. good to know that i can safely incorporate it into my marathon training — thanks! I was so excited to see this post this morning!! I just started incorporating more Barre and Pilates into my weekly routine and haven’t quite figured out a balance with my strength, cardio, and yoga workouts. Thank you for the tips!! Great post! I love barre workouts! The movements look easy but, oh boy, they are HARD! Also, I love all the little quakes! I LOVE barre! Great post. I went to my very first barre class not too long ago and really enjoyed it. I know I’ll be back soon. Hi Gina, great post! I love Barre and have found that the best choice for me is to access Barre3’s online content for $15/month. There are so many videos, ranging from 10-60 minutes, and all can be done right in your home or hotel room. It is a great addition to the occasional $25 splurge for an in-person barre class. My question is: what length barre class constitutes a good workout on its own, and how long is right for combining with cardio in order to experience the strength and toning benefits of barre in a noticeable way? I realize the answer is different for all individuals– I’d love to hear your suggestions for someone who is already fairly–but not overly–active (a good week is…2 <5 mile runs, one tennis game, 1-2 yoga classes). i love their online workouts, too! Thank you for this! It has been on my mind and something I really really want to incorporate but just couldn’t figure out when/how without way overdoing the legs. No one likes to fear having to pee the next day 😉 The few barre workouts I have done (including some of your short videos in my office on lunch time #score) I have loved, but always wanted to try something longer; more of a full workout than an additional one. I’ve been really interested in trying Barre, but since I do Crossfit I was worried that it might be too much on my body. I think the next time I have a week where I may not be able to go to Crossfit I’ll be trying a Barre workout. Thanks for the info! As soon as i can get to a studio I am trying barre! I am so interested to test it out!! I love incorporating barre in with other forms of exercise like Zumba, yoga and strength training! 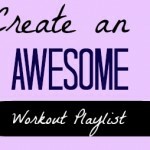 It’s a great way to round out your workouts! I dabbled in some at home barre workouts prior to getting pregnant (I stopped all workouts from about 6-17 weeks preggers because I was suffering from ongoing “morning” sickness). Now, at 20 weeks, I’m feeling better so I have started reincorporating my beloved Pilates (at a studio – so appropriate modifications are made) and at home prenatal weight training. Would you consider Barre workouts safe for pregnancy? I especially like the idea of using a chair (i don’t have a bar set up at home) to use for stability (while doing some modified squats the other day I nearly tipped over….). lol – I just read your response to the same question… Thanks!! haha i was just going to write back to yours! 🙂 yes, very preg-friendly. congrats to you! I have done your Barre video’s and LOVE it! Can you (or anyone else) suggest any good barre video workouts? I would love to do the Barre3 monthly membership but its not really in my budget, but I could possibly justify a Barre video purchase. Otherwise keep your video’s coming, I love them! Great post! I’ve recently stated taking barre and still want to incorporate strength traing but I don’t want to burn out! Thanks for all the info! Ps… Have you ever tried trx or ripped? Wondering if trx would be considered more of a heavy strength session even though it is all resistance and body weight…? Awesome post! Now that I’m recovered mostly from my foot injury, I have been thinking about getting back into Barre again. I’ve always struggled with how to fit in in though. I feel like if I skip cardio and do Barre instead on a particular day that I am not really getting a workout. That probably sounds silly, but it’s the truth. Awesome post! I’m incorporating barre into my marathon training schedule and it’s good to know I’m thinking about things in a smart way–either doubling up barre classes with an “easy” cardio/shorter run day or on its own on a “flex” day. I’m a fan of non-consecutive days too–I feel like I can get more out of my workout. Major props to those who can do barre classes 5-6 days a week! Are Barre classes appropriate for someone who has a totally ruptured ACL and torn meniscus ( both in the same knee). My knee is stable. Just wondering if I should even try a class. I know Zumba is not even do-able. i would 100% skip it. the knee flexion would probably be too much, and i wouldn’t risk finding out. It’s always great to incorporate different movement into your fitness routine. I would def. like to try barre workouts at least once a week ha… I’m attached to my yoga, running routine! I try to take barre at least 2x a week and pilates 1x a week and struggle with my schedule. I definitely need to add in more cardio and at least 1 day of strength with weights. Maybe doing a HIIT session on barre days would be doable time wise. It’s hard to fit it all in with 2 kids! Love Barre workouts. Great addition to my Pilates schedule. This is awesome! Thanks for sharing! I tried barre about a year ago but the studio I went to stopped offering it. You’ve definitely motivated me to try to find a new spot! I miss it! Thank you for sharing this, Gina! 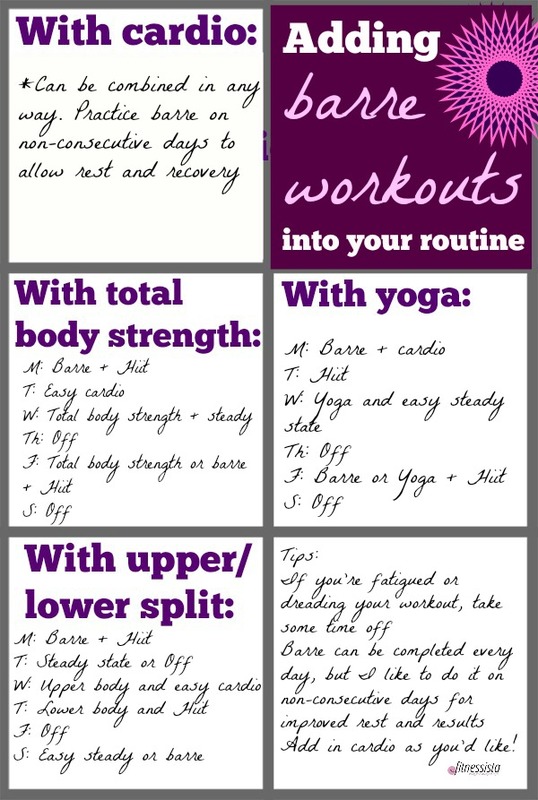 I’ve been wondering how I can fit barre in my regular workout routine and think this is very helpful! My biggest gripe with balancing barre and other exercises is the cost factor. Studios make a month unlimited the best deal, so I always end up making my workout split just alternating days of barre. I’d love to do barre once a week along with other workout styles, but as far as I can tell, that’d be way more expensive! (The 10 and 20 class packs are way less cost-effective per class than a month unlimited if you go every other day). I do love my unlimited months though, it’s a good reset to my routine and I always see my muscles tone and change during the month. I actually like doing cardio on barre days before class, but I do a walk-jog combo that doesn’t totally kill my legs. When I looked into Orangetheory the cost distribution for their classes seemed to be about the same, so maybe I’ll look into doing a month of that next! Great post- thank you! I have read various blogs over the years and have recently narrowed it down to a select few. I rarely post but wanted to take a moment to thank you for providing a healthy perspective on a consistent basis. I think as women, we are often way too hard on ourselves (at least I know I can be) and you do a tremendous job of presenting a variety of topics while never losing the focus of balance. I applaud you and your committment to promoting a postive enviorment for your readers. Thank You. Great post, Gina! Being a visual learner, I especially appreciated the graphics to help me see how I can give barre a try with my current workout schedule. I’m assuming “total body strength” is the equivalent to your SSU workouts and am planning to try barre on a non-consecutive day w/ a SSU workout. This is like me trying to balance my Pilates teaching schedule with my other workouts. I only teach two classes a week, but it was tricky to figure out where to do the rest of my strength training and my cardio, especially since I don’t have enough time to do cardio on the days I teach due to the child care time limit. I’ve finally found a good balance and my routine looks a lot like the one you posted with total body strength, except I have two total body days + two Pilates days + two cardio only days. Thank Gina! I’m wondering what your opinion of barre is is your goal is building muscle. I’ve lifted heavy for years, but I can’t go as all out as I used to, especially with squats and deadlifts. I have a naturally small frame so muscle is the only way I have some curve back there and I don’t want to loose it! Do you think barre would help, hurt, or not impact this? barre will help with muscular endurance but not strength in the way that squats and deadlifts will. but, it will work your legs and glutes in an entirely different way. i’ve always combined barre with strength training (so i don’t know what the results are like skipping traditional strength and just doing barre), but when i do barre on a regular basis, i notice a physical difference in my legs and glutes. Loved this post. I have actually found a barre studio where I can literally DO.IT.ALL and I’m so in loved that I’m in the process of training to become an instructor. It’s called The Barre Code. I love it because I never feel like I have to do a different kind of workout since they offer so many formats. Kickboxing, hot barre, baryasa (a spin on yoga), interval barre, barredio barre (dance/cardio with barre). All of the formats incorporate the barre in some way. I LOVE IT. Check it out if you ever get the chance. You will NOT regret it!! I am trying to figure out if I should be doing more outside of the studio i.e. running, heavy lifting to see results faster? I’ve been trying to incorporate barre into my routine, but I still havent figured out how to balance it with pilates and cardio. I love the graphic- really helpful! I joined a barre studio at the beginning of 2015 (The Barre Code), and have been going 5-6 days a week. There is a wide range of class types (barre, interval, boot camp, hot yoga, kickboxing). 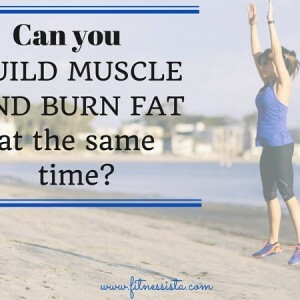 What I am wondering is should I incorporate running and heavy weight lifting into my weekly routine? I have seen some results since joining the studio, but would it be more efficient to incorporate exercise outside of the studio? I know most comments are from 2014, but just found this. Any suggestions on how to incorporate BodyPump/Barre and a cardio like T25. I love all three so much and can’t seem to figure out how to get them all and not overtrain. 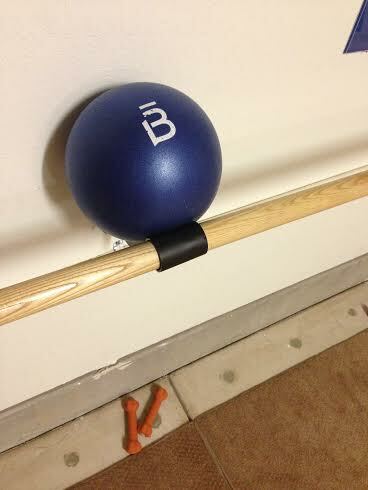 I was combing T25 and BodyPump which worked great for me, but I love barre and love the flexibility I have achieved. Any suggestions? This is perfect! Thank you for doing the infographic. I’ve been doing Barre for about a month, and wanted to figure out how to balance it with other workouts. I love the graphic with the options on how to include barre in different fitness routines! And when it says HIIT after barre, could that be either HIIT sprints or like a plyometric HIIT workout?